If you're new to the comic, The Devil is a recurring character. Furthermore this is a continuation from last week. 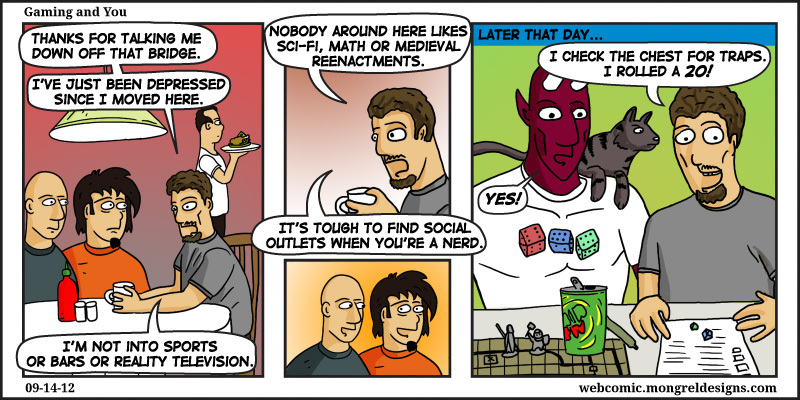 As an aside, I have to say, most of my social contacts come from gaming in one way or another. Just wanted to say- I didn't start playing DnD until I was in the military.